More than a trillion yuans, the restructuring of the PLA calls for a wholesale review of India’s defence structure beyond what the Kargil Review Commission advised. In my Business Standard column I draw attention to Beijing’s bold steps to restructure the Chinese armed forces and make them capable of modern warfighting. The conventional view is that Xi Jinping’s moves, including PLA reform, are intended to grab as much power as possible. My own take is that as far as the PLA is concerned, the reforms are primarily intended to create a force that can meet and challenge the United States in the medium term. The structural reforms are bold and politically risky, and also ensure that no PLA general is too powerful. It is a question for our strategists, high policymakers and national leaders to assess whether India can afford to delay the structural reforms that were deemed urgent in 2002. What caught public attention last week was the announcement that China’s defence outlays have crossed a trillion yuan ($151 billion) for the first time, albeit growing at a slower 7 per cent in line with slower economic growth expectations. It is often said that China could become the first country in the world to age before it gets rich. India faces no such spectre. However, India has already become the first important economy in the world to take on onerous climate-related obligations before it has provided electricity to all its citizens. This reality has greatly accentuated India’s energy challenge, which is unique in some respects. Consider the scale of its challenge: Before its population stabilizes, India will add at least as many people as the U.S. currently has. Even if India provided electricity to its projected 1.6 billion population in 2050 at today’s abysmally low per capita energy consumption level, it will have to increase its electricity production by about 40% of the total global output at present. India’s domestic energy resources are exceptionally modest in comparison to population size and the demands of a fast-growing economy, with energy demand projected to rise 90% just over the next 13 years. And, unlike China, India does not share common borders with any energy-exporting country and thus must rely on imports from beyond its neighbourhood, making it vulnerable to unforeseen supply disruptions. China’s policies on the Kashmir conflict between India and Pakistan affect regional stabilization and crisis management efforts in South Asia. Following the September 2016 terrorist attack that killed nineteen Indian troops in India-administered Kashmir, China raised concerns about rising tensions in Kashmir and reiterated its calls for a peaceful resolution of the Kashmir dispute through dialogue and consultation.1 In recent decades, China has played an important third-party role in helping to deescalate tensions between its nuclear-armed neighbors India and Pakistan, in stark contrast to its more belligerent foreign policy in the 1960s. At a time when India is haunted by a deepening water crisis, the Indus Waters Treaty (IWT) hangs like the proverbial albatross from its neck. In 1960, in the naïve hope that water largesse would yield peace, India entered into a treaty that gave away the Indus system’s largest rivers as gifts to Pakistan. Since then, that congenitally hostile neighbour, while drawing the full benefits from the treaty, has waged overt or covert aggression almost continuously and is now using the IWT itself as a stick to beat India with, including by contriving water disputes and internationalizing them. A partisan World Bank, meanwhile, has compounded matters further. Breaching the IWT’s terms under which an arbitral tribunal cannot be established while the parties’ disagreement “is being dealt with by a neutral expert,” the Bank proceeded in November to appoint both a court of arbitration (as demanded by Pakistan) and a neutral expert (as suggested by India). It did so while admitting that the two concurrent processes could make the treaty “unworkable over time”. World Bank partisanship, however, is not new: The IWT was the product of the Bank’s activism, with US government support, in making India embrace an unparalleled treaty that parcelled out the largest three of the six rivers to Pakistan and made the Bank effectively a guarantor in the treaty’s initial phase. With much of its meat in its voluminous annexes, this is an exhaustive, book-length treaty with a patently neo-colonial structure that limits India’s sovereignty to the basin of the three smaller rivers. Is The Aadhar Grounded In Adequate Law And Regulations? Aadhar enrollment goes on. Aadhar being made compulsory for various public services. All of this, in a legal vacuum. The Aadhaar (Targeted Delivery of Financial and Other Subsidies, Benefits and Services) Act, 2016, ["the Aadhaar Act"], as the name suggests, aims at targeted delivery of subsidies, benefits and services by providing unique identity(UID) numbers based on an individual's demographic and bio-metric information. Aadhaar enrollment is, in principle, voluntary - both as per the Central Government's own stand and repeated orders of the Supreme Court since 2013. The Government has, however, slowly been linking government (and other services) to the Aadhaar card. Since January 2017, the Government has issued 22 notifications making Aadhaar mandatory for obtaining a range of services, ranging from the Mid-Day Meal scheme to maternity benefits. The Aadhaar number is likely to become a pre-requisite for filing income tax returns and applying for a PAN card. As of March 2017, more than 1.1 billion individuals have been enrolled in the system and 4.9 billion authentication transactions have taken place. In the process, the Government has expanded the scope and coverage of Aadhaar while the Supreme Court is yet to decisively settle questions about constitutional challenge. First things first: this should happen only when the ordinary citizen can be guaranteed full privacy protection, and quick justice when breaches occur. Till we find a way to ensure speedy justice on privacy issues, it is better to let a few evaders go unpunished than to try and punish the whole country. The Finance Ministry’s decision to make Aadhaar, the unique biometric identity issued to over a billion residents of India, compulsory for filing returns is a dangerous move. It will convert what was originally intended to give the poor an ID, and the government an efficient way to target benefits and weed out fake beneficiaries, into a financial Frankenstein. The ostensible reason for making Aadhaar mandatory for issuing PAN numbers and filing income-tax returns is that there are too many people with multiple PAN numbers, which makes detection of evasion difficult. But this is tosh. It speaks more about the incompetence of the state and its tax officials than about a real need for linking Aadhaar to PAN. It can be argued that every country has some form of national identification process. The US has its social security number, and so India can well have its Aadhaar. But the difference is this: there is simply no privacy protection in the Indian system that is legally strong enough to deliver justice to people whose IDs have been misused or compromised by the state or even private parties. Has Afghanistan Become America's Afghanistan? The Taliban have captured the crucial south Afghan district of Sangin after a year-long battle, officials say. Government forces say they have made a tactical retreat from the centre of Sangin. A spokesman for Helmand’s governor confirmed the district police and governor’s headquarters were now in militant hands. Almost a quarter of British troops killed during the UK’s combat mission in Afghanistan died defending Sangin. Hundreds of members of the Afghan security forces died there in recent fighting. Separately, at least nine local policemen were killed in an “insider” attack in Kunduz in the north early on Thursday. A guard who officials say was linked to the Taliban reportedly gave access to insurgents at a security checkpoint located on the Kunduz-Kabul highway. The attackers took weapons and ammunition with them. Will the Trump administration develop the right grand strategy to deal with China and protect U.S. vital interests? With President Trump’s first meeting with President Xi Jinping of China scheduled for next month in Palm Beach, Florida, President Obama’s ambassador to China, Max Baucus, a longtime Montana Democrat senator, recently said that the United States needs to stop getting pushed around by China and work out a long-term strategy to deal with that country’s rise. Baucus expressed frustration with the Obama administration’s lack of strategic vision and its weakness when it came to China. China, Baucus said, has a long-term objective to build up its economic might and global influence at the expense of the United States. The United States, by contrast, often appears distracted by problems in the Middle East. U.S. and South Korean officials are bracing for Pyongyang’s sixth nuclear test. North Korea may be just days away from carrying out its sixth nuclear weapons test, a U.S. media outlet said Friday, citing unnamed government officials. Defense officials believe Pyongyang has completed work on fresh tunnels at the Punggye-ri Nuclear Test Site, where five previous detentions were carried out, according to the report by Fox News. 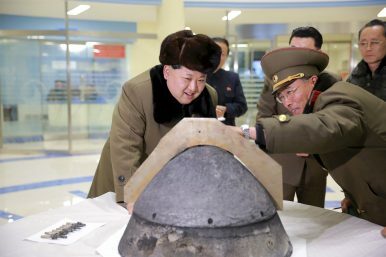 North Korean authorities, however, still need to move essential equipment into place for the test, which would violate numerous UN resolutions, the anonymously-sourced report said. While the report could not be independently confirmed, Reuters on Friday quoted an anonymous South Korean military official as saying Pyongyang was ready to carry out a detonation “at any time,” although he declined to confirm if evidence pointed to an imminent test. The warning comes after the isolated nation tested a new type of rocket engine last weekend and carried out a failed missile test on Wednesday. Russia will start research and development (R&D) work on a new generation of surface-to-air missiles for its army in 2018. The research work will be used to inform a full-scale development effort that will start in 2020. The new prospective new family of weapons—which the Russians have code-named “Standard”—would replace all of the Russian Ground Forces air defense missiles including the Tor, Buk and some versions of the S-300. However, the prospective new system would not replace the Russian Aerospace Forces’ air defense weapons such as the S-400 and the forthcoming S-500. When full-scale development starts in 2020, the Russians hope to develop a fully integrated and networked air defense system that would utilize a modular family of missiles, Leonov said. The missiles would come in short, medium and long-range variants. Moreover, the future system could potentially incorporate novel technologies such as lasers and other directed energy weapons, Leonov added. Four people were killed — including the attacker and one police officer — and 40 others were injured in the March 22 vehicular assault on Westminster Bridge and in the knife attack near the Houses of Parliament in London. The attacker drove a Hyundai Tucson over Westminster Bridge toward Parliament, striking several people, including three police officers, before crashing into a gate. He then left the vehicle, knife in hand, and sprinted into Old Palace Yard, where he was tackled by an unarmed police officer. He stabbed the officer, who later died from his wounds, before being shot by a second officer. The attacker would later die from his wounds as well. The area was then put under security lockdown. Parliament was in session and preparing for Prime Minister Theresa May's questions session, which meant the full legislature was in the building. May was moved to a secure location, but the evacuation of Parliament was held up while the bomb squad checked a suspicious package in the vehicle. Eventually the lockdown was lifted. Meanwhile, authorities carried out searches in six locations across London and Birmingham, arresting eight people. The attacker was initially identified in major media reports as British citizen Abu Izzadeen — born Trevor Brooks. But those reports were withdrawn after his lawyer said Izzadeen is currently incarcerated, a report many major outlets have corroborated. Prime Minister May said March 23 that the attacker was born in the United Kingdom and had been investigated by British intelligence agency MI5, but was "a peripheral figure." London police have since identified the attacker as Khalid Masood, a 52-year-old native of Kent who had previously been convicted for crimes, unrelated to terrorism. The National Interest, a print and online magazine focusing on international affairs, foreign policy, national security, domestic politics and more is searching for a national security reporter to join our online editorial team. This position is based in Washington, D.C. This exciting position entails writing daily news articles concentrating on the State Department and National Security Council from a realist and restraint-oriented perspective in foreign affairs. • Reporting and writing on defense and national security issues on a daily basis. • Covering key players in the foreign policy establishment. A proven record and extensive contacts are a must. • Ability to break news and cover emerging events. • Experience in journalism (2 years or more) or online writing/blogging, a background in defense and national-security writing and familiarity with tools used in web production will particularly stand out on an application. The current effort to thwart the “ingenious” application of unmanned aerial systems being used by the Islamic State group, which include intelligence, surveillance and reconnaissance as well as lethal payload delivery, is reminiscent of the counter-improvised explosive device effort undertaken by the Defense Department, according to one top intelligence official. “There is a departmentwide effort underway, which if you go back to the days of the stand up of [Joint Improvised-Threat Defeat Organization] … and the department just went at the [counter-IED] with everything we had. This is that but in a different environment,” Lt. Gen. Jack Shanahan, director for defense intelligence (warfighter support) within the Office of the Under Secretary of Defense for Intelligence, said during a March 17 luncheon hosted by AFCEA’s Northern Virginia Chapter. Following a trip to Iraq, Shanahan asserted that Lt. Gen. Stephen Townsend, the commander of Operation Inherent Resolve, the main counter-ISIS effort, described counter-UAS as his No. 1 force protection priority. While no American personnel have perished at the hands of ISIS drones, it is only a matter of time, Shanahan said, paraphrasing Townsend. More money without new leadership won’t fix the Army. When U.S. forces begin the destruction of the Islamic State, it will defend its territory—its so-called caliphate—and “hold ground.” Without air and missile defenses, or rocket artillery and mobile armored forces with accurate, devastating firepower, “holding ground” is the only option. U.S. air and ground forces with token “allied and partner” participation will methodically grind Islamic State fighters out of existence. “Holding ground” will be a death sentence for ISIS. However, the destruction of ISIS belongs to the past; battles between the U.S. armed forces and insurgent enemies without armies, air forces or air defenses. Future battle will be different. 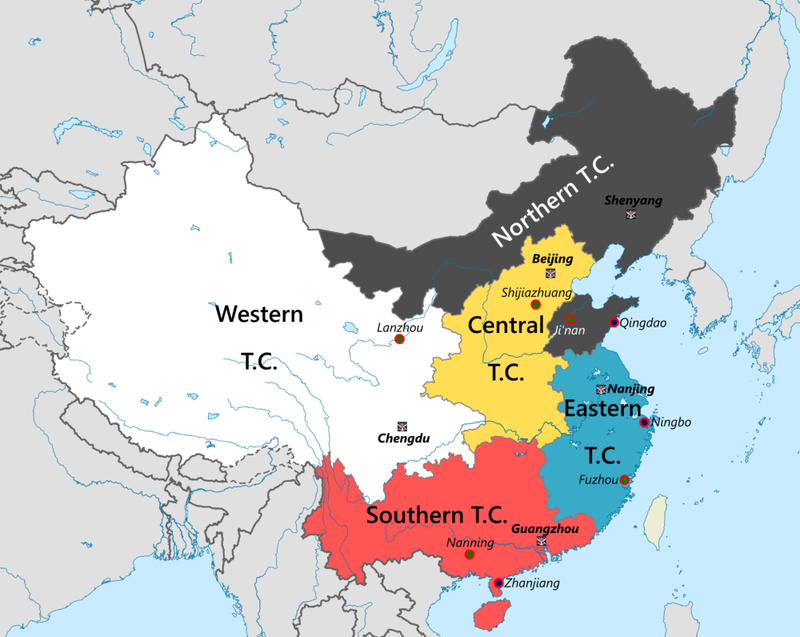 Recent events in eastern Ukraine, Mesopotamia and the western Pacific suggest the potential for conflicts in regions where major wars incubated in the past. When and how these wars will break out is difficult to predict, but the trend lines suggesting how they will be fought are visible now. In a future conflict with nation-state opponents, U.S. command, control and communications, particularly space-based capabilities, will be disrupted. Theater ballistic missiles and self-navigating long-range cruise missiles will strike ports, airfields, refineries, desalination plants and food-storage facilities vital to U.S. forces. The ability of the United States to completely destroy a more or less modern Iraqi military establishment remains a remarkable achievement. Only a few doubted at the time that the United States Army, supported by airpower and by a huge international coalition, could prevail over the Iraqis. The extent of the victory, and its relative bloodlessness on the American side, surprised almost everyone. This is especially true given that the influence of airpower was overstated. To be sure, Coalition air attacks badly attrited Iraqi main forces, damaged Iraqi logistics and broke the morale of many front-line Iraqi conscript units. However, Iraqi armored units nevertheless maneuvered under fire, moving into blocking positions and carrying out counterattacks. Even in these conditions, U.S. and British armored forces shattered their Iraqi opponents with only trivial casualties. The United States and its coalition partners evicted Iraq from Kuwait over twenty-three years ago. Temporally, the Gulf War is closer to the fall of Saigon than it is to us today. Given the struggles of the past years, it’s difficult to remember how important the Gulf War seemed in 1991, as the Soviet Union neared its collapse. President Trump has pledged to rebuild both America’s military and its infrastructure—priorities that are more intertwined than they might appear. In the 21st century, “infrastructure” means more than roads, bridges and airports. Just as American life increasingly relies upon the virtual infrastructure of internet and satellite connectivity, so does the Pentagon. The Global Positioning System is a prime example. The same GPS signal that helps you navigate around a traffic jam or lets your kids play Pokémon Go also guides the Air Force’s smart weapons and enables American commanders to direct ground forces in battle. But much of this widely used technological infrastructure is out of date, unreliable or easily tampered with. The Defense Department still uses 8-inch floppy disks and computers from the 1970s to coordinate nuclear forces, according to a report last year from the Government Accountability Office. Many of the Pentagon’s communications systems are so vulnerable to sabotage that the Army and Navy regularly practice fighting without them. Satellites can be shot down by missiles or have their sensors dazzled by lasers. Their ground links can be jammed or hacked. The visualization below sums up the global weapons trade during the Obama era, minus data from 2016. It was created by data scientist Hai Nguyen Mau, and each relationship plots the value of the weapons trade between two countries based on data from SIPRI. Ken Foster, a computer network analyst with the California Army National Guard Computer Network Defense Team, assists one of his fellow analysts to defend against a simulated virus attack during the 2014 Cyber Shield exercise at the National Guard Professional Education Center in North Little Rock, Ark., April 30, 2014. With recent high-profile cyber incidents and intrusions, many are left with the idea that cyber is so special and unique that it does not fit the rational roles of international, military or civilian relations. Some top current and former officials have poured cold water on these perceptions, warning that siloing cyber is not a winning formula. This model does not help to understand the nature of the threat, she said, especially when trying to prioritize cyber threats as an administrator. To prioritize, one must understand consequences and consequences are not just going to be within one’s IT system, she added. 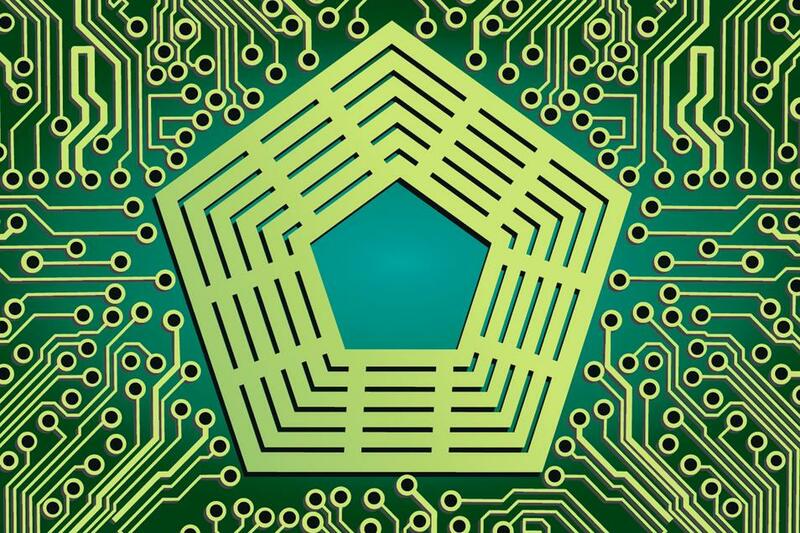 The Army is working cyber into everything under its purview. U.S. Army Central decided to go one step further than the Army’s Cyberspace Strategy for Unified Land Operations 2025 in creating its own cyberspace strategy. The move is aimed at helping the organic ARCENT workforce understand cyberspace and cyber operations to better position the agency to aid cyber warriors and succeed in missions. Lt. Col. Dwyke Bidjou, ARCENT’s deputy chief of information operations and one of the main officials behind the strategy’s development, spoke to C4ISRNET reporter Mark Pomerleau about the strategy, which is still classified. C4ISRNET: Can you provide an overview of the strategy? Is it more along the lines of cybersecurity or war fighting? Lt. Col. Dwyke Bidjou: This strategy encompasses all three mission sets of cyberspace operations: offensive, defensive and [Department of Defense Information Network] operations. The intent was to make sure the ARCENT staff had our commander’s vision and understanding and priorities for execution of cyberspace operations, hitting on all three mission sets. DECEMBER 22, 2016 TORONTO—It's well known that WeChat censors conversations between hundreds of millions of mainland Chinese who regularly use the country's most popular chat app. Censorship is a fact of life in China, and Beijing's censors have raced to keep pace with the rapid spread of digital communications. But the full scope of how WeChat controls what users say, read, and share wasn't known until a small team of technology researchers at the University of Toronto began to suspect the company was blocking conversations among users in North America, too. Through his work examining what WeChat users are able to see – whether they are in China or abroad – revealed that the company's digital filtering technology tracks users around the globe, blocking content without users' knowledge. When Homeland Security Secretary Jeh Johnson arrived in San Francisco for one of the world’s largest technology conferences, it was almost like a foreign emissary entering enemy territory. The epicenter of the country’s technology community has been openly hostile toward its government ever since whistleblower-turned-fugitive Edward Snowden revealed two years ago the National Security Agency was collecting troves of Americans’ communications records and hacking into the Internet backbone. Mr. Johnson had arrived at the RSA Conference, an annual gathering of thousands of influential cybersecurity professionals, with an olive branch. He sought to encourage collaboration between Washington and the nation’s tech industry, including by announcing a new Homeland Security office to work with what he called “friends” in Silicon Valley. But it wasn’t just the long shadow of the Snowden revelations that Johnson had to overcome. Another battle between the Obama administration and the tech community was just beginning to heat up, as senior US officials called on major tech companies such as Apple and Google to weaken encryption technology so that law enforcement and national security agencies have easier access to their customers’ data. This is the Pentagon's vision of the Internet. The US military's cyber warriors, unlike soldiers patrolling a battlefield overseas, will not hear the sound of an attack coming. They will not see their opponents in the flesh. They will not die because they were in their line of fire. Like information security professionals at private companies, they spend long hours hunkered over computers, analyzing lines of code, trying to detect breaches – a laborious process that requires advanced engineering skills. Though their networks are scanned up to millions of times every day, there is no alarm system that triggers when an enemy hacker crosses a virtual tripwire to breach their network. There’s no virtual explosion if they destroy the data inside. The Pentagon's research arm wants to change this. With a project called Plan X, the Defense Advanced Research Projects Agency (DARPA) is building what could one day become a virtual reality that gives cyber warriors "instantaneous knowledge of the fact [their] network is being attacked," says its program manager Frank Pound.